Spring is officially here, and although the Kansas weather can be a little unpredictable, we can start counting on warmer weather. As the climate gets a little more comfortable, people’s shopping, dining, and travel habits change. Pedestrian and bike traffic increases. Customers linger outside. Runners on the sidewalk, trail walkers, window shoppers, beer garden aficionados, and outdoor events draw people to business areas. But, if commercial locations don’t take advantage of spaces outside their four walls, they aren’t fully capitalizing on the weather. 1. Remember not to block entrances or sidewalk traffic. You need a six foot clearance to allow for traffic on the exterior of your building. Hindering traffic can generate pedestrian complaints. 2. Communicate your plans. There are sign ordinances that prevent certain sign types on sidewalk areas, and exterior events can cause additional logistical issues. Communicate with your neighbors and the city prior to making the investment for long term exterior additions. 3. Remember the wind. Kansas is the second windiest state in the United States. Things that work in other areas may not work here. A Main Street director in the western part of the state saw hanging baskets on a vacation, for example, and decided to add them to her downtown. The baskets couldn’t handle the wind, and they became rolling street art. So, plan for Kansas elements when creating outdoor interest. If your plan can’t handle the Kansas wind, make your addition temporary, and pull in items at night and during unfavorable weather. 4. Make sure it’s legal. It would be great to have a beer in a breezeway on occasion, but if the area isn’t a legally established drinking area you are asking for trouble. A “noodle guy” whipping in the wind on a downtown sidewalk sounds like a recipe for a lawsuit (and would violate local sign ordinances). Piping external music can set the mood for customers passing by, if you have the appropriate license to broadcast the music, and stay within noise ordinance allowances. When in doubt, check it out. 5. Frame it. Utilize plants and lighting to frame your doorway and act as a colorful addition to draw your eye to a particular area. A word of caution- outdoor floral displays will inevitably get damaged, so plan on maintenance and watering. Broken displays and dead plants can give a worse impression than no displays at all. 6. Have a (temporary) seat. Exterior tables and chairs can allow people to sit and enjoy what your business has to offer. Restaurants, coffee shops, bars, and specialty food retailers should naturally look at exterior seating to extend their influence, but it may make sense for other types of commercial entities as well. 7. Get lit. Exterior lighting can extend the operating hours of your business, expand your sales capacity, act as an invitation to those passing by, and allow a business to take advantage of an exterior area. 8. Tour time. Partnering with neighbors to get people walking business to business is a good way to improve traffic and spending. The upcoming Easter Sugar Stroll is a good example of a group effort that gets people out and about at the beginning of spring. Kayla Mock and Joel Smith do an outstanding job with First Friday Art Walks as a traffic builder. You can do some independent outreach with other businesses to encourage a “touring” mentality. 9. Make it entertaining. If you can add exterior music or other entertaining elements specific to your business, you should probably try it. Instead of a bike shop doing a “Pedal-thon” on trainers inside the store, go on the sidewalk or in an adjacent breezeway. If you are a pet store, have a spot for exterior water bowls and clean up bags next to a branded pet social media “frame” so people get get a pic with their pooch. Each business can do something different that corresponds with its business type. 10. Grow with exterior events. When large events occur in proximity to your business, consider having a booth (or any other type of presence). Visitors at a large event can get a little tunnel vision, and a booth presence is often a great way to direct consumers into your storefront and drive extra sales. Big events can stock the pond with consumers, but you still have to get in the boat, float in the middle, bait your hook, and cast. You wouldn’t expect to have a fish jump in your cooler from 300 feet away from the lake-shore, and you can’t expect event participants to just know who you are and what you do. Activating exterior spaces takes additional work, budgetary considerations and staffing. Solid planning is required to ensure that exterior programming is successful. You can’t simply throw a sandwich board on a sidewalk and wonder “why aren’t people streaming inside?”. 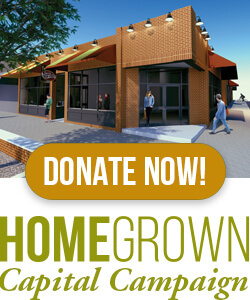 A carefully considered program to take advantage of exterior spaces can increase traffic and sales. 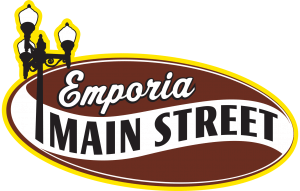 If you are looking for ideas for your specific business, please contact Emporia Main Street. We are happy to help!